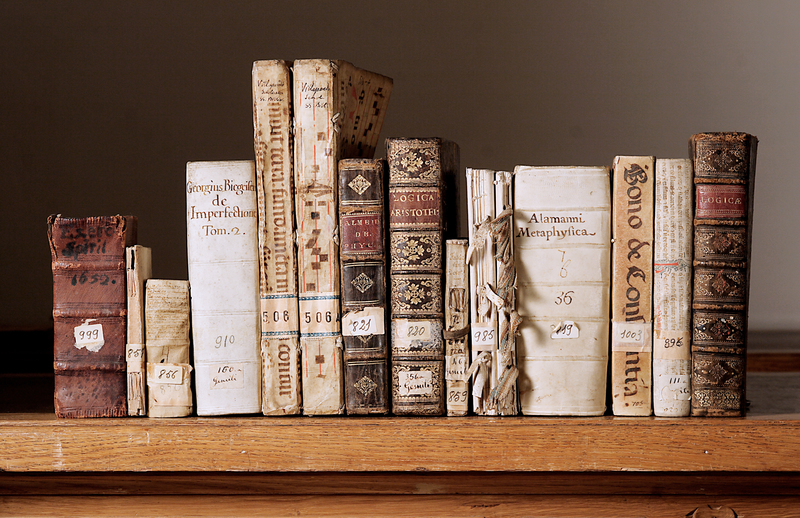 The Historical Archives of the Pontifical Gregorian University (APUG) is developing a web platform – named GATE – to publish a part of its as yet unedited sources through a collaborative work open to the scholar community. Sources like those that will be published, usually require years of scholarly work and consistent funding, especially for digitization and the development and design of web platforms. Sometimes these preliminary requirements discourage the start of such projects, especially by institutions with limited resources. In this project we have chosen to use a simple and ready to use software: Mediawiki, enriched by the implementation of several extensions. Mediawiki is a free and open source software developed by the Wikimedia Foundation and used in all its widely known projects, such as Wikipedia and Wikisource – among many others. Its large usage gave birth to a numerous and active community, which is practically available 24/7 and always ready to help and contribute to the success of the many Wikis around the world. Our wiki has been set up thanks to the help of the Information Systems Department of our University; the same department also takes care of the ordinary maintenance of the platform. The GATE project intends to follow and continue these experiences, involving not only a general public but specifically the youngest generations. Thanks to last years’ activities carried out with high schools students, APUG decided to put about 70 boys and girls to work on the transcription of letters in three specific projects (see below for a description of each of them). In addition to this task, they also have to annotate the texts, finding entities such as Names, Works, Places, Terms and Objects. This work is possible thanks to the implementation of the Semantic Mediawiki extension. In this case it is used to perform semantic annotation on the texts, to make ‘semantic’ the letters metadata and to empower the results of general search queries. Thanks to the specific architecture of Mediawiki which fosters discussion among users, students can also argue about the correct interpretation of single words or work together on the identification of a cited work. Currently, there are three projects under development and all of them revolve around a corpus of letters. Epistolae Bellarmini Cardinalis project aims to transcribe all of the 2,674 letters written and received by Roberto Bellarmino during his cardinalate; this correspondence was collected and transcribed by the Jesuits François Xavier Le Bachelet (1855-1925) and Sebastian Peter Cornelis Tromp (1889-1975) in nine volumes of typescript transcriptions preserved by the Archive, almost ready to be published but, due to unknown reasons, not yet published. Within the Athanasius Kircher project we propose to focus both on his correspondence and on his works. Athanasius Kircher is as a case study to explore the complexities and paradoxes of a ‘long’ modernity, starting from the seventeenth century up to our own world. In fact, the fundamental aim of this project is to articulate more clearly what is often hidden in every historical research: what matters to us is not in the past, but in the present. From a methodological point of view, we want this project to be not simply inter-disciplinary, but indeed trans-disciplinary. We start from Kircher’s crucial role in the early modern Republic of Letters and we insert Kircher’s case within a larger context involving the question of the nature of knowledge as both a kind of savoir faire and a kind of savoir vivre. From this perspective, we propose to reconsider Kircher’s vast bibliographical production and the methods of its dissemination, highlighting how Kircher grappled with, and contributed to develop, the concept of novitas. Our project is also concerned with the material aspect of culture, and more specifically with the early modern changes in the modes and methods of communicating and disseminating knowledge. The way in which Kircher managed, reproduced, and created knowledge is a lens through which we can understand several fundamental aspects of both the early modern and the modern world. There has been a recent surge of scholarly interest in these developing processes, such as the exponential growth of information and consequently the development of new and more effective techniques to digest, store, and select this new amount of knowledge. The starting point of this project are the 14 volumes of letters sent by and to Athanasius Kircher and five manuscripts, mostly unpublished, all of them preserved by the Archive. Several years ago, Stanford University digitized the letters and made them accessible via LunaImaging software, enriching them with detailed metadata. To continue and complete this work, we have started to transcribe the letters. In addition, we will also proceed to transcribe a selection of Kircher’s published works and to collect a Bibliographia Kircheriana, containing all the works and papers about Kircher published in the last three centuries. Within the latter project five PhD students from our Faculty of History and Cultural Heritage of the Church have been working since December 2016. The whole Athanasius Kircher project is generously supported by Sorgente Group Foundation. Finally, the Angelo Secchi correspondence project intends to publish about 8,000 letters that this jesuit astronomer and scientist – one of the fathers of the modern Astrophysics – exchanged with more 1,500 people (1847-1878). If you would like to cooperate to GATE project, please send us an email to request an account. 3 risposte a "GATE: Gregorian Archives Texts Editing, a collaborative platform"
Congratulazioni per il lavoro svolto e auguri per gli impegni futuri. Grazie!